You probably wear socks every day, or at the very least, you put them on before putting on your work shoes or boots. Whether you're on your feet all day working or just lounging around, you want a pair that comforts your feet. Wigwam F600 3072 USA-Made Grey Merino ... (see full details) (see specifications) #WGWF6003-072. You probably wear socks every day, or at the very least, you put them on before putting on your work shoes or boots. Whether you're on your feet all day working or just lounging around, you want a pair that comforts your feet. Wigwam F600 3072 USA-Made Grey Merino Airlite Pro Work Socks will provide all-day comfort. These Wigwam socks are made with 34% Merino wool, 32% stretch nylon, 27% Dri-release Tencel (88% polyester, 12% Tencel), 6% spandex, and 1% stretch polyester. Whoa! Can you say that 10 times fast? Although that's a mouthful to say, it's this blend that offers the greatest combination of softness, durability, and performance. Wigwam's patented Ultimax moisture-control system combines with soft Merino wool for the worlds' greatest Merino wool socks. Efficiently moving moisture from the bottom of these men's socks, this Ultimax system keeps feet cool, dry, and blister-free. This system is further enhanced with Dri-release and Merino wool, which is especially soft and not itchy like other wools. In addition, the FreshGuard treatment prevents odor to make sure you smell fresh, while the breathable mesh panels make sure your feet feel fresh when you wear these USA-Made socks. Eliminating harmful ridges that can cause irritation, the seamless toe closure provides the maximum comfort, so your feet feel amazing regardless of what you are doing. Wigwam F6003072 USA-Made Grey Merino Airlite Pro Socks will impress you with its ultralight design. Now you can feel light on your feet every day! They are quite comfortable, but they are thin socks. The fact that in their name is Airlite should make that more evident. Probably good if you are going to wear them with dress shoes. I wore them with Chelsea boots so they were loose since I usually wear a thicker sock. The elastic was snug, bot not tight. These socks are comfortable and keep my feet cool during the summer, but they seem a little on the thin side. Haven't worn them enough to determine their durability. I prefer to wear them in tennis shoes over any of my boots, especially my steel toed work boots. 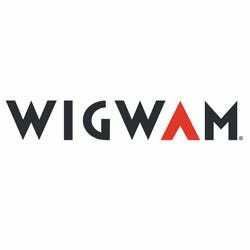 Wigwam has an excellent return/exchange/guarantee though. May end up changing these out for a heavier weight. These Wigwam socks are very well made with quality wool that wrap your feet in comfort. Wigwam socks have been around for many years providing America's working persons with the best socks ever. Just like an cuddly robe, these sock surround your feet with the best in materials giving your fee the best support. Wigwam Socks: Men's F6003 072 USA Made Merino Wool Airlite Pro Socks is being added to your cart.